Tianjin Anber Metal Products Co., Ltd is located in Yangjiayuan industrial area, Jinghai County, registered in 2003. We are one of the leading manufacturer and exporter in Tianjin China. Our company specializing in series of cleaning scourers. Scourer wire surface smooth, bright and clean, there is no crack, the festival, from the thorn injuries and rust, zinc coating uniformity, strong adhesion, corrosion resistance and lasting strength, excellent toughness and elasticity. Application It is mainly used for making kitchen cleaning. In bag then in carton or at client's request. 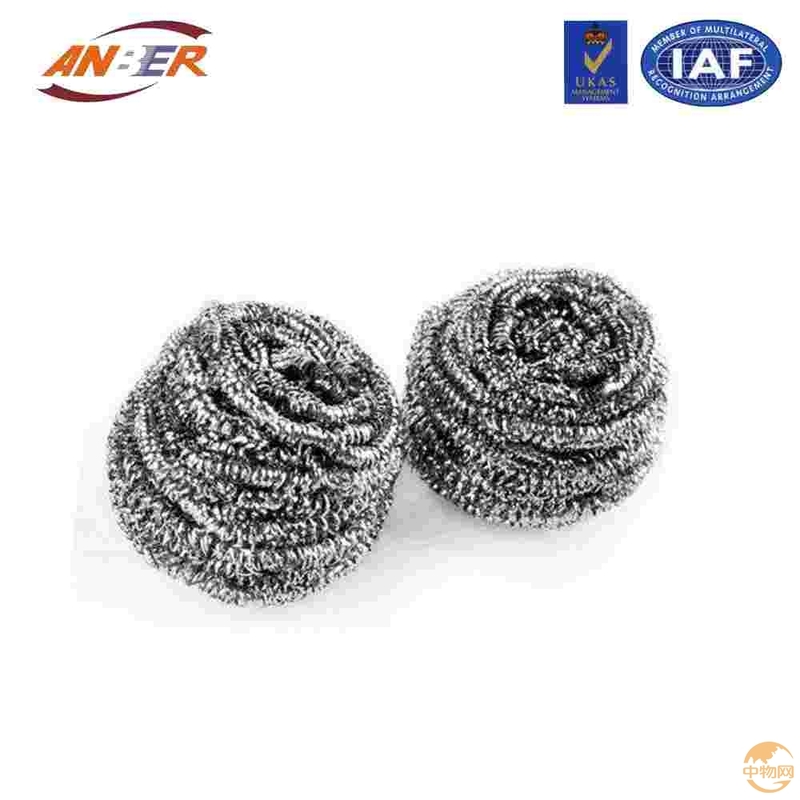 We adopted advanced technology from France and Switzerland, specializing in all kinds of wires, such as Scourer wire, Galvanized wire, Black annealed wire, Redrawn wires, Flat wire, Copper coated Wire, and Galvanized scourers, Stainless steel scourers, Brass scourers and Mesh scourers. All of our products are exported to a lot of countries all over the world, like EU, USA, AFRICA and some other countries or areas. Promoted by the market economy, we use 5s manage theory from abroad and take the enterprise strictly in control as per the modern enterprise managing mode. And we have passed the ISO9001 international quality system certification. The smallest order we got was 1 ton. We consider honest as the life of our company, we can tell you the contact information of our some other clients for you to check our credit. Besides, there is trade assurance from Alibaba, your order and money will be well guaranteed. Tianjin Anber Metal Products Co., Ltd. is one of the leading manufacturers and exporters in Tianjin of China. Our company was founded in 2006, located in Yangjiayuan Industrial Area, Jinghai County, and covers an area of 120,000 square meters. We adopt advanced technology from Germany, specializing in all kinds of wires, such as Galvanized wires, Galvanized Flat wires, Redrawn wires, Scourers, Mesh scourers and other metal products. Our products are sold to a lot of countries and regions all over the world, such as China, the EU, the USA, Africa and some other countries and areas. With the high-quality products, as well as the most competitive prices, our company has a good reputation among our domestic and foreign customers. Promoted by the market economy, we use 5S management theory and strictly conform to the control standards of our modern enterprise management mode. We are carrying out ISO9001 International Quality System standard, and will become the company adopting ISO9001 International Quality Management standard for our professional metal products. Our business has increased year by year since our company was established. At present, our company has had a good sales performance in the international market. Two-thirds of the world's scourers are from China. The galvanized steel wires which are the main material for our mesh scourers also are characterized with strong market potential because of the high demand and potential market. Thus, we also need to create and use a variety of opportunities to further expand the market, and increase the market share. We use the hard work, wisdom and quality to open up the market. For a long time, our policy of quality has been "putting quality first; strengthening enterprise management; creating a reputable brand; ensuring best satisfaction". Our goal is "to become better each day and provide the society with high quality services". With international trade as the core, we are developing our company into a strong group that makes every effort to satisfy customers' full range of needs and expectations. In the mineral industry, we will keep on exploiting and innovating for the development of new and existing customers with the purpose of creating sales achievements.